Cuisine ~ What to Eat? Shopping ~ What to Buy? Costa de Almeria is the stretch of coastline on the south east side of Spain. Almeria is the capital city with great historical heritage. Costa de Almeria has a wonderful nature and coastal are in the company of fine sandy beaches, sand dunes, nature reserves, volcanic mountains and wetlands. Almeria, Almerimar, Mojacar and Roquetas de Mar are the popular holiday resorts in Costa de Almeria. Almería Airport, located 9 km. outside the city is the connection point of the region. There are direct air connections with a number of major Spanish cities and receives charter flights from several places in Europe. Roquetas de Mar offers one of the most comprehensive open air sports centers in the Mediterranean coasts. There are three main tourist areas in Roquetas which include Playa Serena, Roquetas de Mar and Aguadulce. Mojácar is a popular holiday tourist destination with great beaches, coves and lively nightlife including nudist beach area. 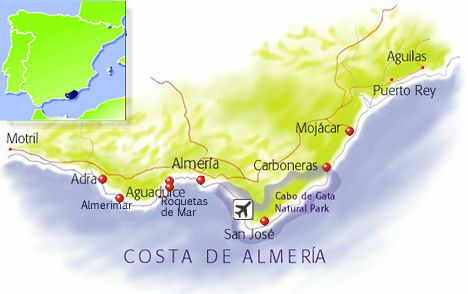 Places of interest in Costa de Almeria include; Almeria with its historical buildings such as ancient fortress and the Alcazaba; Punta Entinas-Sabinar Nature Reserve with Playa de Cerillos beach also having nudist part and the lighthouse; Cabo de Gata-Níjar Natural Park; the old town of Roquetas de Mar with a Moorish fortress; village of Sorbas and Las Marinas Amoladeras Reserve. 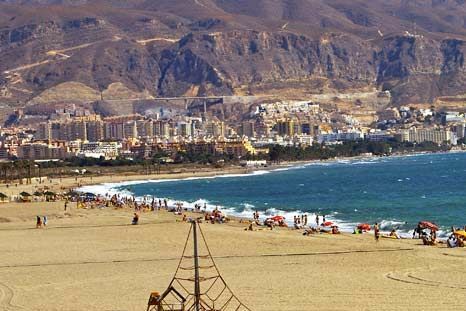 A day out at the beautiful Costa de Almeria beaches is a great attraction for the holidaymakers. The Alcazaba, located by Almeria, is the second largest Arab construction in Spain after the Alhambra in Granada; the Cathedral, the historic port, cuisine with wide variety of fish and shellfish, homely soups and stews, and juicy fruit are the remarks of the area. 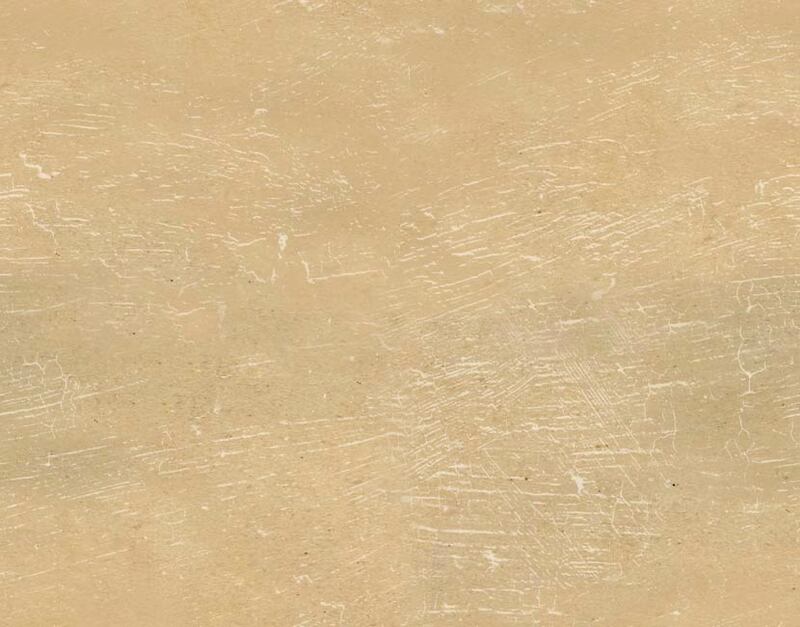 Sand-dunes and bird life may be observed at the Adra and Punta Entinas-Sabinar nature reserves. For the ones whom want to experience a subterranean realm of natural wonders, then Karst in Yesos de Sorbas is the perfect destination with the most important gypsum karst site in the world. On the coasts of Costa Almeria holidaymakers may find variety of water sports such as windsurfing, surfing, water skiing, scuba diving, sailing and diving as well as quality water skiing, windsurfing and sailing schools. Tapas in bars rather than eating in restaurants is mostly preferred in the Almería coasts. Typical menu at the tapas bars include small fish, meat, rice and salad dishes and a beer or a wine. The restaurants also offer great tastes. Seafood dishes are the most popular ones. Towns of the Costa de Almeria has their traditional hand crafts such as ceramics, embroidery, weaving, esparto-work and wood. City of Almeria is the center for shopping. The Craft Centre in Mojácar is a large complex worth to visit and buy where 16 craft workshops make, display and sell their products. Costa de Almeria has a wonderful weather of typical Mediterranean with mild winters and hot summers. The annual average temperature is 20 C and there are 300 days of sunshine in the region.